At some point in the American history, a Japanese representative gave a Japanese cherry tree to the American people. 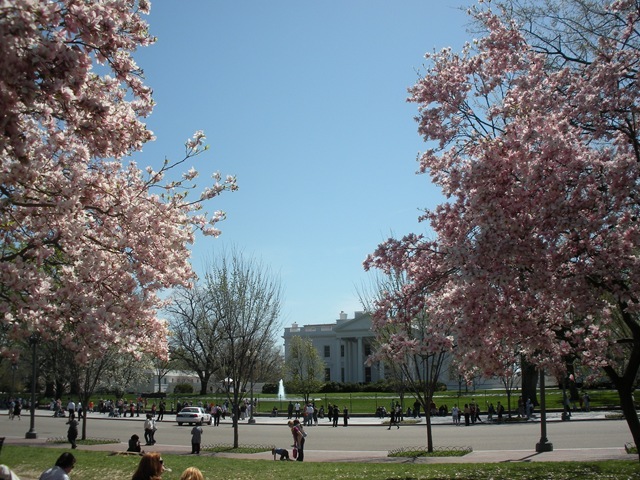 Since then, for a few weeks every year, Washington is covered with pink flowers. It is beautiful and is celebrated with a yearly festival. I haven’t checked out this year’s festival, but I enjoy having lunch in Lafayette Park these days.